Mistletoe &,Wollen got me a Festive Dragon!! Took forever, take lots of pictures, a lot of people have been having problems with these Dragons. If lucky one moment U have Them the next they disappear. (The compost for the new DragonVale breeding cave App. 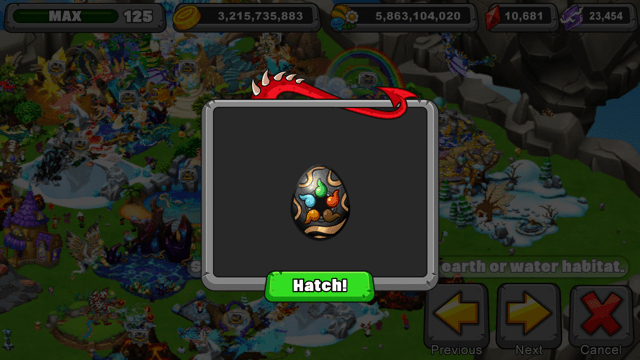 (I prefer The Old DragonVale Breeding Cave) The new One, doesn’t seem 2B working , 4me at least) I wish I could attach pictures I saved pictures of the rift reading &, regular for each of the four dragons that they suggested. However, I have not had any luck with them. (Tusk: Century and Specter, Upgraded Breeding Cave Reg. I Appologize for the confusion, The last comment was not for a quintessence dragon, it was for the four new surface dragons.